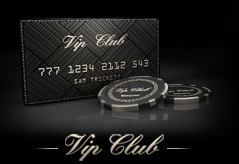 The Titan Poker VIP awards players with cashback (a rakeback equivalent) for their loyalty. Players earn 17 Titan Points per $1 rake paid in MTTs / SNGs or 15 in ring games. These points count towards your VIP status and automatically earn you Club Points according to a multiplier. Club Points are then converted to cash bonuses or tournament tokens. The table below shows some example equivalent rakeback percentages for players reaching different VIP levels and opting for different cash bonuses. Players receive further value from all Titan promotions, e.g. the Gladiators Race.